In this step you will create a personal repository in Bitbucket Server to use to keep track of your work for the Teams in Space website. Personal repositories can be used for storing private files or starting your own project and are not visible to other users by default, but you can open access to these repositories whenever you want. From within a project, click Create repository. Name your repository Website, then click Create. 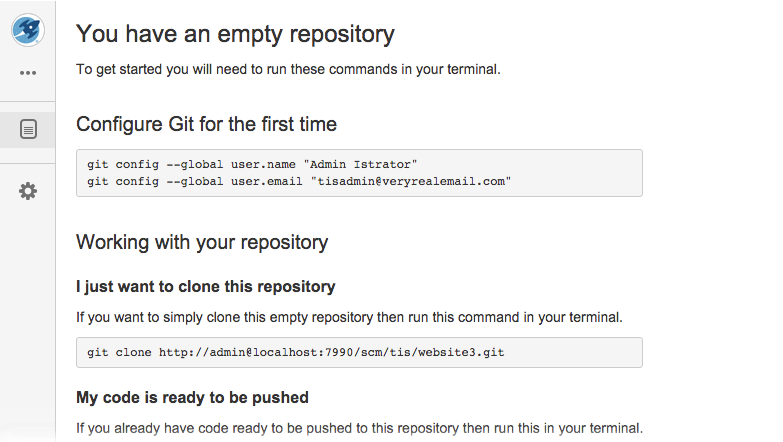 Now you have an empty personal repository.